As shown in the given Jakarta location map that Jakarta is located on the north-west cost of Indonesia. Jakarta is the most populous and capital city of Indonesia. It has the Status of Special Capital Territory. The urban area of Jakarta i.e. Jabodetabek, is the second largest in the world. Furthermore, Jakarta is the economic, cultural, and political centre of Indonesia. Above all, Jakarta is recognized as global city in the 2008 by Globalization and World Cities Study Group and Network (GaWC) research. 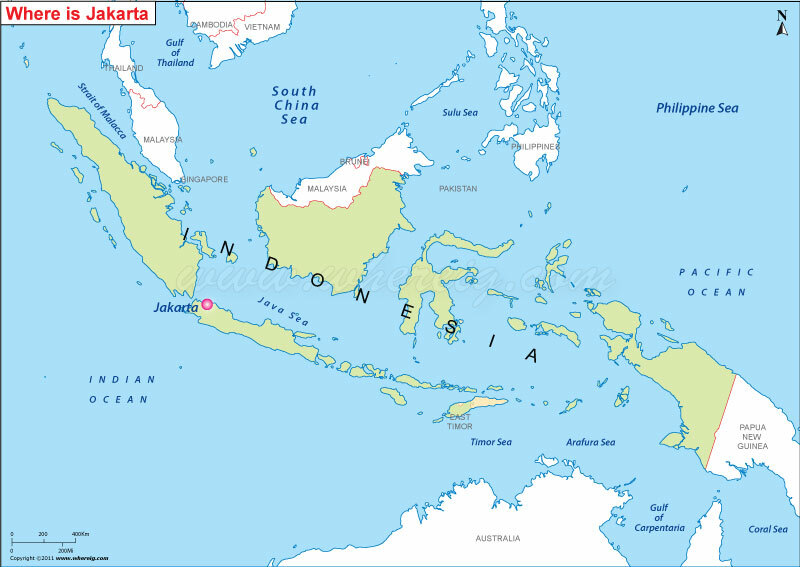 The word Jakarta is coined from the Javanese word i.e. "Jayakarta" that means "complete victory," "victorious deed," or "complete act." The city is quite old and has had the historical importance. It is one of the oldest trading ports for the Kingdom of Sunda. The city is connected through numerous intercity and commuter railways, and served by various bus lines running on reserved bus ways. One of the most important features in the city is the National Monument and Istiqlal Mosque.